Donut Give Up during this event! 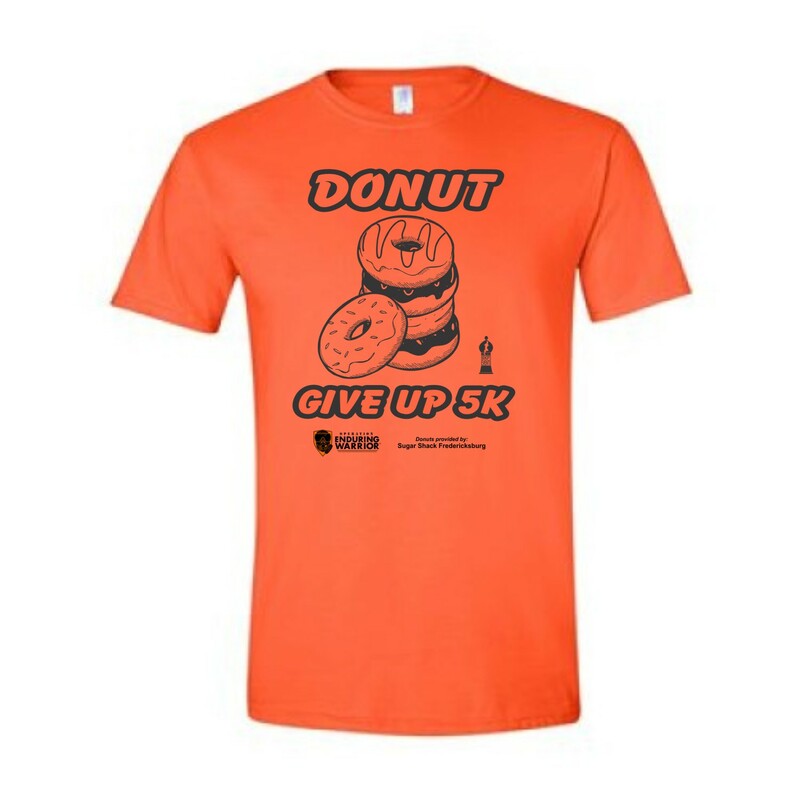 Runners will run 1.55 miles to a donut station where you eat one Sugar Shack donut, then run the same course back to the finish line. T-shirts guaranteed to runners registered before March 27. We will order extra t-shirts for those who register after that date, but it is on a first-come first-served basis. The race starts and ends near the parking lot. Parking will be available on city streets and the UMW parking lot at the intersection of Sunken Rd and William St. Parking will not be at Sugar Shack.